Mostly clear skies during the evening will give way to low clouds and fog after midnight. Low 51F. Winds WNW at 10 to 20 mph..
Mostly clear skies during the evening will give way to low clouds and fog after midnight. Low 51F. Winds WNW at 10 to 20 mph. Samaritan Health Services recently received a grant from Regence BlueCross BlueShield Oregon to support additional communication efforts as part of a regional initiative called PainWise. The $5,000 grant will assist with production of several short videos featuring local health professionals and residents discussing issues related to pain and the ways they’ve found to address it. The videos will be featured on the PainWise website and on the websites and social media channels of participating organizations. PainWise was formed two years ago as part of a regional collaboration to address the growing crisis of opioid misuse. Since then, organizers have expanded their focus to include more general education and resources about pain. The PainWise website, painwise.org, includes information about local classes, support groups and other resources. Participating organizations include area health care providers, county health departments, higher education, law enforcement and other partners. 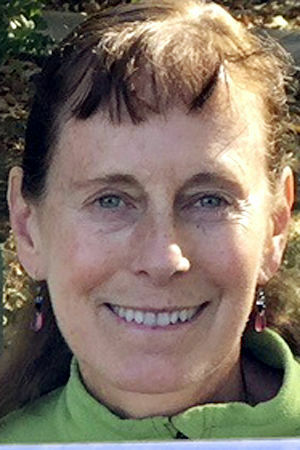 The Institute for Applied Ecology, a Corvallis nonprofit agency, recently announced that Stacy Moore, its ecological education program director, has been named a TIAA Difference Maker 100 Honoree for her work in the Sagebrush in Prison project. In celebration of TIAA’s 100th year of serving those who serve others, TIAA is recognizing 100 people like Moore who work for a nonprofit agency and are making significant contributions in their community or the world. TIAA is awarding each Difference Maker 100 Honoree with a $10,000 donation to support the nonprofit organization through which they make a difference. In Moore’s case, $10,000 will be donated to the Sagebrush in Prisons project, providing vocational training and hope to incarcerated people in 12 prisons in six states. Moore was selected from among more than 4,000 entries. For five years, Moore has worked to continue the Institute for Applied Ecology’s Sagebrush in Prisons project. The project works with incarcerated men and women to raise sagebrush plants, receive vocational training, and participate in monthly education and guest lectures in land management and conservation. Several local resource professionals have been selected for the second REAL Oregon (Resource Education and Ag Leadership) class, which started this month. Local participants are Kirk Burkholder, producer/owner of Burkholder Farms in Albany; Katie Glaser, producer/owner of Glaser Farms in Lebanon; Mallory Phelan, executive director of Oregon AgLink in Albany; Shane Ruddell, producer/owner of Ruddell Farms in Sweet Home; Denis Sather, senior licensing manager at Oregon State University in Corvallis; and Jeff Minter, a forester at Starker Forests, Inc., in Blodgett. Following the completion and graduation of Class 1 last spring, the organization announced the selection of 30 new natural resource professionals from throughout the state for Class 2. Participants were selected from a pool of applicants, and reflect a balanced mix of resource producers, agri-businesses, advocacy organizations and government agencies. REAL Oregon is a collaboration of industry and other groups throughout the state that have recognized the importance of developing and supporting leaders within Oregon’s natural resource communities.